Marxist-Leninist union leader, Matt McCarten, wants to build his Unite union into a powerful force for social change. That takes money. Unite has solicited money from Venezuela and British and US unions. Now he is cooperating with the so-called Maori University-Te Wananga o Aotearoa in a scheme designed to enrich both organisations with taxpayers money. As was reported in a New Zealand Herald article on the 4th December 2006, Unite and Te Wananga o Aotearoa (free tertiary education provider) have come to an agreement which brings wananga tutors and union organisers into the heart of Queen St to teach literacy, computing and business skills to some of the country's lowest-paid workers — cleaners, call centre workers, fast-food attendants and waiting staff. That great bit of reporting by the NZ Herald leaves a lot to be desired. Firstly, the Unite has agreed to recruit workers and its own members to a variety of Wananga courses. For every new student signed up, the Wananga gets an increase in its funding from the Government. Of course, these courses are free whether you are a member of Unite or not, but the benefit for Unite is that for every student they recruit for the Wananga they get a rather healthy commission, rumoured to be several hundred dollars. Compare this to the Union fees a full time minimum-wage Unite member would pay — just below $200 a year — and you can see the appeal. As the NZ Herald article made clear, however, Unite is also being given a new building to house its offices, the old ASB Building which is now renamed Unite House. The deal is clearly lucrative for both organisations: effectively the Wananga is commissioning Unite to gain access to workplaces to recruit students and gain increased funding, while Unite is gaining offices in a half-a-million-dollar building and getting paid rather well on top of this. It is unsurprising to learn, then, that Unite Secretary Matt McCarten is also the trade union representative on the board of Te Wananga o Aotearoa. Not one to remain idle, however, Unite recently announced 45 short-term paid recruiting positions across New Zealand presumably charged with recruiting for both Unite and Te Wananga. The positions are quickly being dolled out to unscrupulous activists already known to Unite, and it seems most of the positions in Christchurch have already gone to members of the "pro-Mao Marxist-Leninist" group Workers Party. Commies on commission! Does anyone else smell a rat here? Of course the unions are quite well controlled by these sort of Communists. Take a look at ALF-CIO whose current leader is a member of the Democratic Socialists of America which is linked to Socialist Internaitonal. There's an ironic amount of business savvy in this, considering the groups involved. 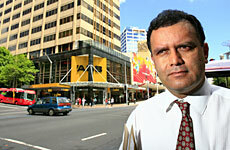 Unite and McCarten are upfront about working with Te Wananga O Aotearoa. They've made absolutely no secret of this relationship and the benefits and good gained from a free public tertiary education for low paid Unite members. Unite has also helped to alleviate some of their members debts and financial difficulties by encouraging them to move away from loan sharks and into a credit union. Serious institutions of the Left are not only upfront, they also hold power over capital when united. "Unite is also being given a new building to house its offices"
Who 'gave' them that building?? Dodgy, and not very 'upfront' at all anon.